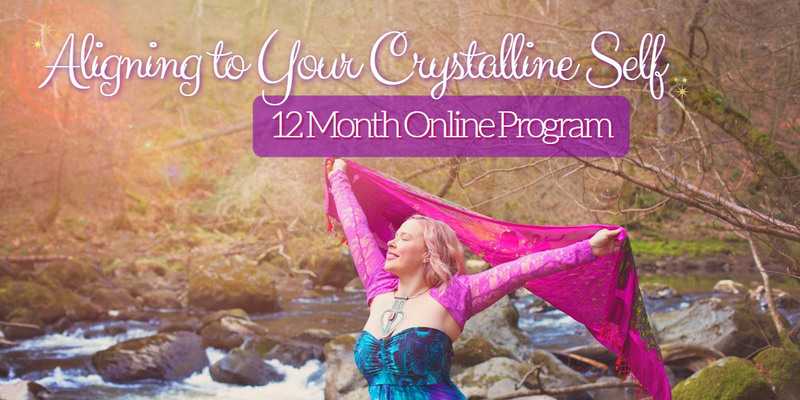 Becoming Crystalline (formerly known as the Align to your Crystalline Self course) is a 12-month online program for the seekers, teachers and vibe raisers who are ready to experience the true heart of crystals and with it, rise and soar! With the support of the crystal and elemental kingdoms, as well as Mother Earth herself, this program shares the direct Source teachings for radiant health, love and self-mastery. This soulful path will attune you to 13 of the most on-purpose crystals for our new Golden Age. You will receive every month, the direct teachings from the crystals with a detailed explorative guide, energetic attunements and guided meditations. Through the 12-month program, you will come to know of your multi-dimensional being and harmonise with the natural world: its cycles, elements and divine magic. Parts of the Atlantean Crystal Healing™ course is gifted in this program to bring in remembrance of your divine Self and support your ascension into 5th dimensional and beyond, heart-centred living. In Atlantis, we understood that each crystal has its own unique consciousness that we can communicate with. We didn’t need to look up a book to learn its properties, chemistry or frequency; we simply spoke to the heart of the stone. In this program, you will learn how to awaken this inner skill and with it increase your communication to all the subtle realms. Injoy building sacred relationships with the crystals that goes beyond book learning into the magical and very real dimensions of creation. The trust and inner-knowing that this can unlock may serve you beyond the program, enriching your life and bringing greater clarity of your own path. If you don’t know who your spirit team are, or haven’t interacted with the Deva consciousness of crystals or the nature spirits, get set for this inlightening adventure! :) And as your journey progresses, you may witness much positive change in your life. Limiting beliefs, behaviours and block often fall away as your perceptions raise and come into neutral alignment. You may also experience other-life remembrance and come in to the awareness of your soul family. In truth, the program will take you deep in to the crystalline kingdoms where everything is truly possible! Be open in your intentions and your will receive greatly! This program is a commitment that you make to yourself. Whatever may have felt immobilising in your life often liberates. Therefore, a willingness to dive deep in to who you are is required. Just like a diamond emerging from the rock, your inner being will ask you to release the old as you refine and polish what is most important to you. This may mean acknowledging your strengths just as much as your shadows for all is part of life, and all is equally Divine through the eyes of your loving Crystalline Self. You will need around 2 hours per week to receive fully the teachings of each crystal, and to receive the attunements and meditations. More time can be devoted to the self-study exercises and sharing your experiences with fellow students in the private program Facebook page and online monthly gatherings. It’s best to follow each monthly crystal in turn to gain the most out of the program, especially if you undertake the program without mentorship. 12 comprehensive study manuals for each crystal. This includes their direct teachings, meditations, energetic attunements and practical support for crystal use, healing, personal and global ascension. Each manual is written with spirit and ties in with the cycles of mother earth. 24 audio downloads. This includes crystal journeys and energetic attunements to the crystals and their overlighting Devas. 13 Crystals. This includes: 1 crystal quartz point, 12 activated crystals (one for each month) chosen specifically by Calista to cater best for you and your path. Monthly power-half hour online gatherings to share and exchange experiences. Recorded gatherings in case you miss them. Pendant to wear your crystal as you attune to its vibration each month. Study plans for each lesson, including homework assignments to support your progression. Private community page to meet and exchange with those in the crystal tribe too. Course assessment and certificate on completion of the program. If you choose the mentored support course option, you will also receive a personal hour Skype each month with Calista to answer program-related questions. As well as email support throughout the 12 months. ‘Journey of Awakening with Optical Calcite’ ~ with ways to open, deepen and expand your consciousness. The door opens! ‘Living in your Heart with Petalite’ ~ what it takes to walk the path of heart-centre living. ‘Manifesting your Dreams with Prehnite’~ teachings to release energetic attachments so you can fully accept abundance and prosperity. Attuning to the Faerie nature kingdom is also included. ‘Empowering Self with Sunstone’ ~ with tools to release limitations as you reclaim your Power. Attuning to the Dragon kingdom is also included. ‘Soulful Communication with Chrysocolla’ ~ deepening communication with your Crystalline Self through integrating both your light and your shadows. Attuning to your Mermaid guide is also included. ‘Meeting your Spirit Team with Seraphinite’~ who are your Spirit team? Meet and merge with these divine allies as well as attune to the consciousness of Mother Gaia, receiving her love and wisdom. ‘Loving your Self with Ocean Jasper’~ open to Love as you deepen the path of self-acceptance. Attuning to the Atlantean Angels and the Golden Age of Atlantis is also included. ‘Loving your Self (Part 2) with Heliodor’~ fall in Love with you as you meet and merge with your Inner Child. Attuning to the Goddess Bast is also included. ‘Loving your Self (Part 3) with Phantom Quartz’ ~ what it takes to live in Oneness as you integrate the divine being that you are. Attuning to the Ascended Master, Yogananda is also included. ‘Going Within with Witches Finger’ ~ journeying through sacred rite of passages inspired by Native American traditions. 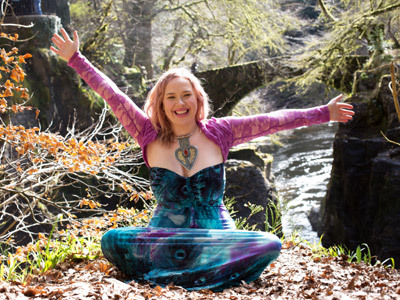 ‘Embracing your Dharma with Tree Agate’ ~ conversations with your Soul and embodying your unique Soul path. Attuning to the Unicorns is also included. ‘Meeting your Soul Family with Scolecite’ ~ embracing your Multidimensional Self through Light-Body activation and the wisdom of Creation. Coming full circle through your year journey of self-discovery and ascension. Are you ready to join the crystal tribe? When you join the program, you are joining a truly loving community of awakened crystal souls from 4 continents! Meeting as strangers but as you travel through the modules, will become kindred friends for this program is life-changing! And life-affirming in so many ways! Are you ready to open your heart and enjoy the true magic of your own crystalline soul? As you enrol into the program, know you can take it at your own pace and in the comfort of your own home. SIGN ME UP TO CRYSTAL SCHOOL! I’M READY TO JOIN THE CRYSTAL TRIBE – Sign me up!